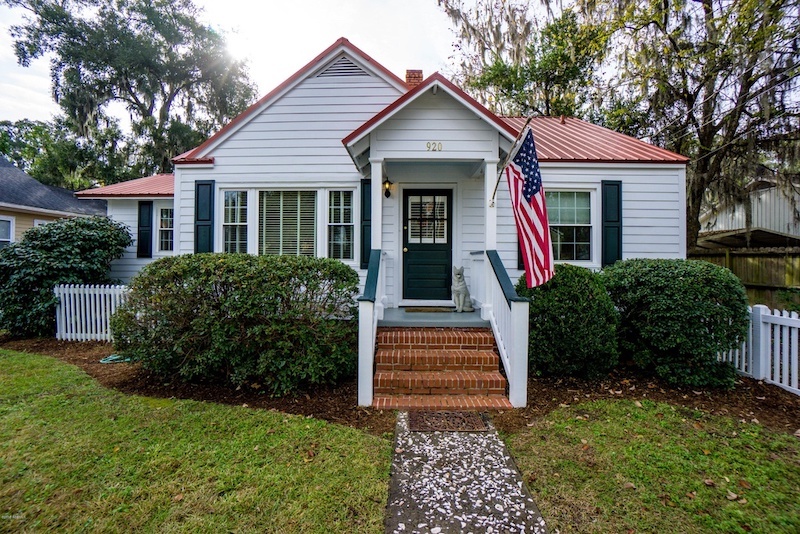 Besides all the hallmarks of a Southern home – a white picket fence, plantation shutters and brick steps up to the front porch – this home also features an oversized screened-in back porch, ideal for enjoying those low country breezes. When you’re not spending time outside, you can enjoy custom cabinetry and cozy built-in shelves for reading books on a lazy summer day (even in the middle of January). 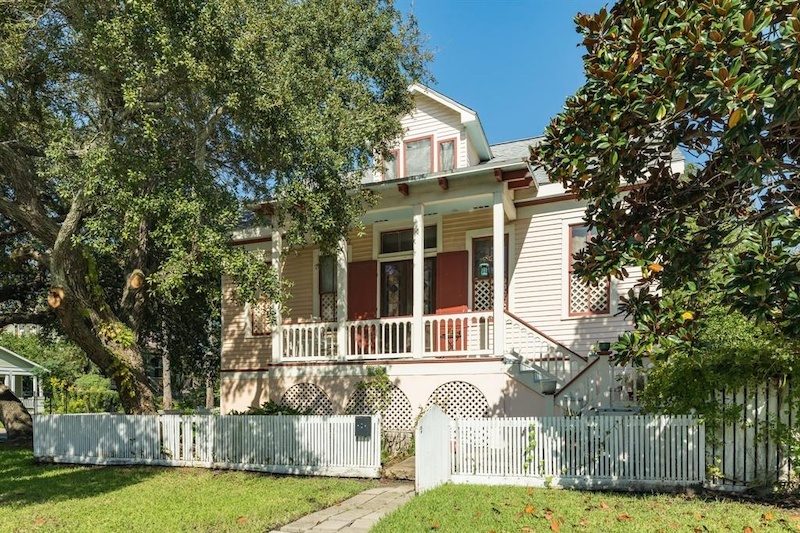 Built in 1886 in Galveston, Texas, this home gives you a sense of history and plenty of character – all within a few blocks of the beach. The home greets you with a double stained-glass door entrance and continues to enchant inside with a grand staircase, wide-plank wood floors and trace ceilings. Other details like a spacious galley kitchen and a master bedroom with a fireplace create a pretty spectacular Gulf Coast getaway. In addition to a major kitchen renovation – featuring quartz countertops and open shelving – new pine flooring coats the whole house, and all the walls have locally sourced tongue-and-groove paneling that brightens the space. 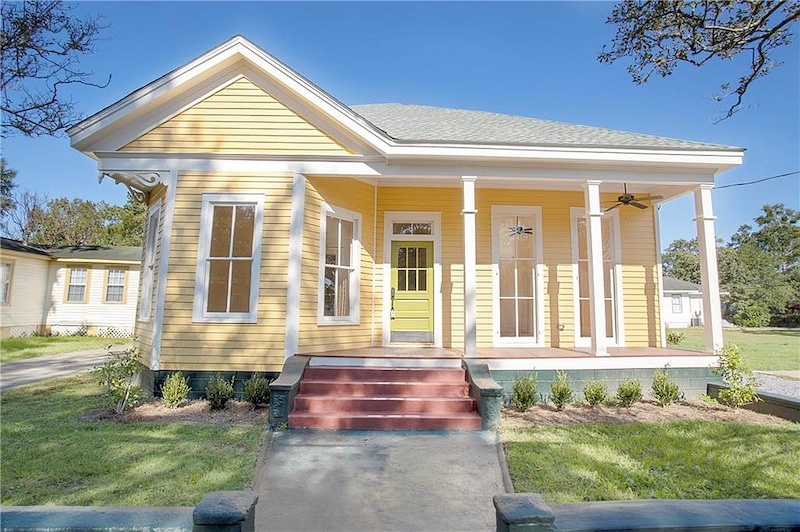 This home also has plenty of spots to curl up and enjoy the Alabama warmth that permeates throughout the winter, including a charming front porch and a bay window that lets in plenty of sunshine. 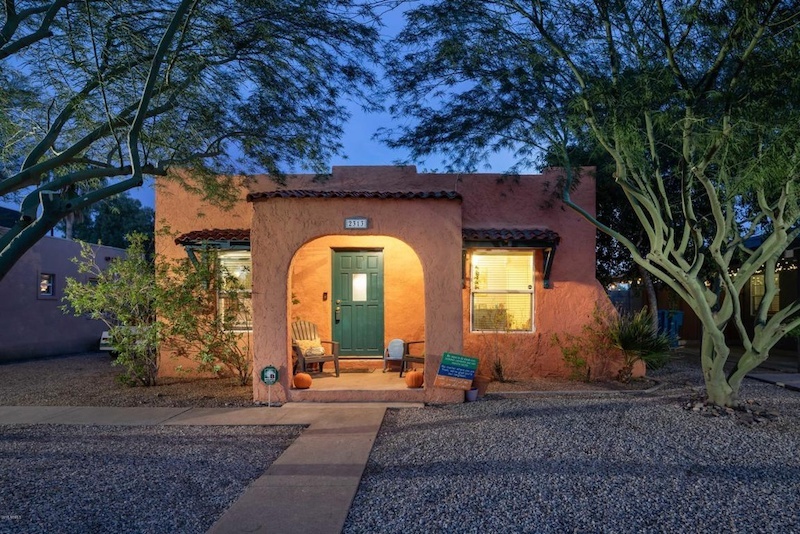 This charismatic pueblo-like home in Tucson, Arizona, is optimal for living like it’s summer year-round. 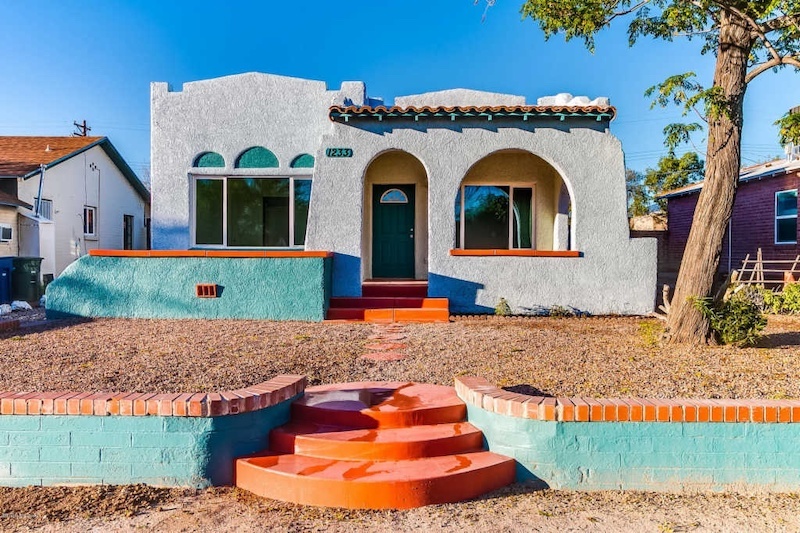 A Southwest color scheme greets you in the front of the house, with orange steps, a teal barrier wall and creamy stucco on the home’s exterior. The backyard, however, is really primed for all-year outdoor living with a built-in barbecue and in-ground pool – perfect for those scorching summer days ahead. 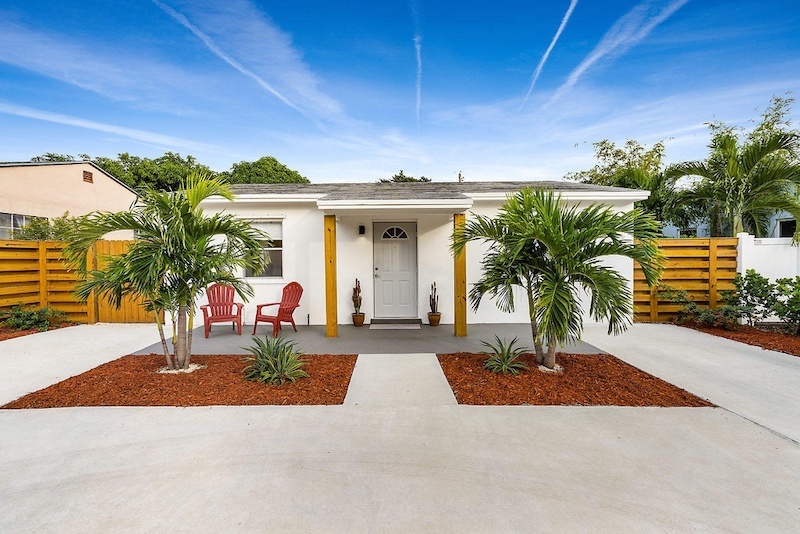 The front walkway and garden – complete with palm trees – is a great place to park your Adirondack chairs for a morning coffee or an evening mai tai. If you ever need to escape the Florida humidity, the home also boasts a custom-built theater system, and it’s just a few minutes away from the nearest beach. 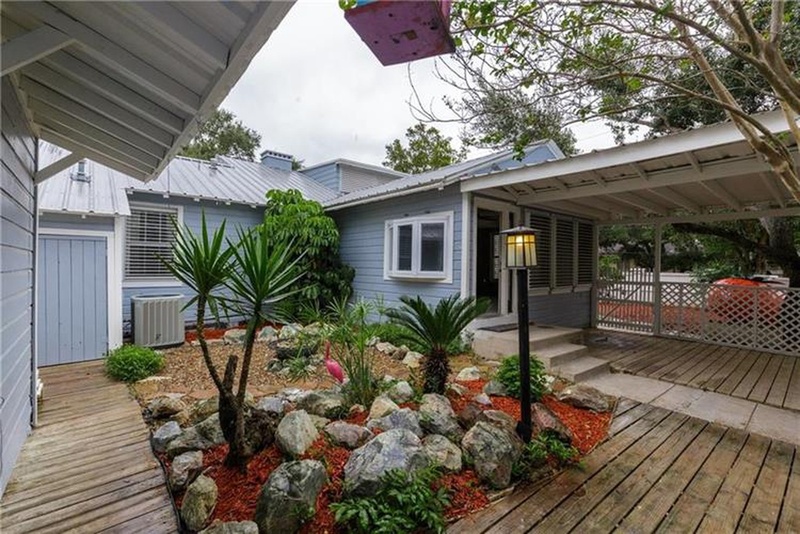 Located just a short drive from Corpus Christi Bay, this adorable beach bungalow in Corpus Christi, Texas, is ideally suited to host friends and family year-round (especially when the temperatures dip below 32 in the northern half of the country). 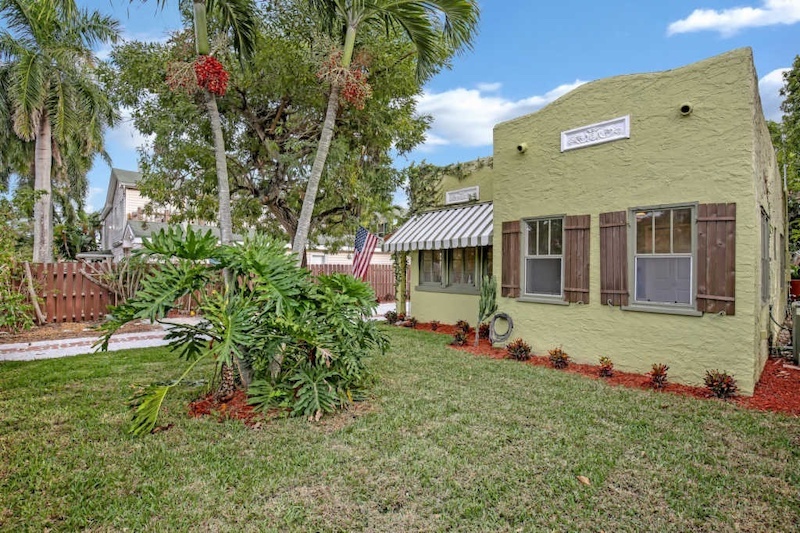 The home features a separate guest house that has a sizable master bedroom, as well as a charming arbor between the main house and the guest space. An in-ground pool, a spa and a large back deck make this home feel more like a resort than a single-family house. See more Corpus Christi homes for sale.